Balti is a language which is spoken in the region of Baltistan in Gilgit-Baltistan, Pakistan. Also, it is spoken in Kargil and Ladakh region of India too. It is a branch of Tibetan language, but after the partition of India and Pakistan, the Balti language has differed from the main Tibetan language due to the influence of Urdu (National language of Pakistan). It is spoken in the whole region of Baltistan division, Ladakh, Kargil and small pockets of Islamabad, Rawalpindi, Lahore, and Karachi. Why should you learn Balti language? Well, if you are not a native speaker of Balti language you would be wondering how can I learn Balti or is it difficult or easy and much more questions like this would be hovering over your head. Learning Balti would be the best thing if you are a nature lover and want to visit the mighty mountainous regions of Pakistan, India, and Nepal. Knowing an indigenous language while visiting a locality is always a privilege then be there as an alien. In past, many mountain climbers and nature lovers visited Baltistan region and they fell in love with the Balti language and culture. They not only learned Balti but conducted research and gave Balti language prominence at international level. The fact that people fall in love with the Balti language is that it is accompanied by rich Balti culture. The culture of storytelling, epic singing, dancing and many other things not only entertain the outsiders but they fall in love and make mind to learn the Balti language. The epic singing and storytelling of King Kesar have been one of the prominent features of the Balti culture. A researcher from Japan while conducting the research regarding the epic of King Kesar loved the Balti language and now she resides in Baltistan and speaks Balti fluently. 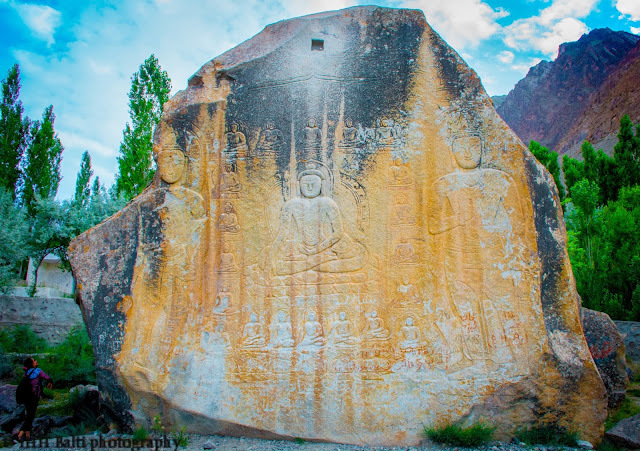 There are many other people from all around the world who learned Balti language and permanently live there in Baltistan or visit the area seasonally. Some researchers have opined that Balti is most prominent and original form of Tibetan language which has retained the phonetics of Tibetan language for centuries. Balti is a langue which has ultimate honorific terms and it conveys esteem or respect when you talk. In simple words, you can choose the formal word for the known friends or persons and you can choose the honorific words for people with whom you are not familiar, or he/she is elder than you. The simple words mostly used are the use of a pronoun while talking with someone. The pronoun "You" has two forms: Khyang (informal/ familiar) and Yang (formal/ polite). Khyang is used to talk with persons you know well and there is no need of honorific term. While Yang is used while talking with elders or unknown persons. Similarly, when someone calls you, you can say "Ju" means "yes" in an honorific way. But if you are familiar with the person and there is no need of paying respect you can use "Han". Although it is a loan word from Urdu, the exact word of Balti for informal "Yes" has become extinct. yang gar na oneng yod pin? Ap kahan se a rahe hai? yang gar gowen yod pin? Ap kidar ja rahe ho/hai? What is the price of this mobile? di mobilepovi rin po cham in? is moblie ka dam kya hai? Yari chan la kharra yoda? After seeing the interste of the people in Balti language we have started the Balti lanuage course online and we have published our first course. If you found the Balti language interesting and want to learn more than you can find the first course regadring the balti langue here in this link. If you want to learn Balti language in detail you can contact us, we will send you the whole course. You can mention your email address in the comment as well to get the course. i am balti but unfortunately my parents did,not teach and speak balti language with us and thats why i am unlucky to learn and speak my own language ..
Bad luck ly kasal ... dahan si halsop di laikhmo skat po.. It is not jooii or joii, it is ju. Ju means yes or ji in urdu. It is used to pay homage when you are talking with someone unfamiliar or elder than you. Ju is one of the most used words in Balti because people don't talk frankly with unknown or elder persons. thanks really helpful looking for this! can you please tell me how to say "WELCOME"in balti language? kindly send the full course . @Amir Hussain Bali. Sawab is known as Zdye or Zdey in Balti. @ ཨབ་དུལ ཝ་ཧཱིད།, Nuru is Kindness or Kind act itself, but the sawab is the reward for the act. BTW thanks for your contribution. How does one say I Love You in Balti? Nga Kargilo dukpin. Ngayi ata apo Skardo na inna. Ngacha Hindustan la Luz de. Dir Purig pi skat poang khatam songse med. Daksa ngayas Balti, Purki na Leh pi skat strese tangmin. Ngacha Balti in. Balti skat lhobspi ngala ishin shoq yodna magar gasha base stlapkhan chik mishes ju ya. Course Po send bana tsey ringmo le fono. That is great. We appreciate your effort to preserve the mother tongue and interest to learn the language. We have sent you reading materials. Hope you would enjoy. Kindly send me whole course of balti language on moazzamali905@gmail.com. Kindly send me full course of balti languge and some balti sentence maker as well if possible on moazzali905@gmail.com. Hello Sir, please send me the material and full course. Thank you so much! BTW is the Balti taught here the Skardu dialect? Thanks! We have sent you the material in email, hope you would enjoy reading. Regarding the dialect, Skardu and Khaplu dialect are almost same with exception of accent. Accent changes not only between the Skardu and Khaplu but among other valleys as well. But in overall the dialect is same across the Baltistan. hello. im interested in learning balti, as im a balti myself but cant speak the language fluently.i would be eternally grateful if u could send me the language course and reading materials, so i could be fluent in the language. also if there's any way to learn true balti script, plz do inform us of that too. thank you for your effort! hello. im interested in learning balti language, as im a balti myself, but cant speak the language fluently. i would be eternally grateful to u if u could send me the language course and reading materials so i could learn the language. also if there is any way to learn to write true balti script, plz do inform us of that too. thank u so much for your effort! kindly send me the full course. can you tell me tha get lost in balti? Get lost in Balti is; Lagnsay Gryob.